Bright glowing particles that resonate a beauty about them and a rush as they spread across the screen. Create a truly special event with this video loop, a great choice to add this video to your library. 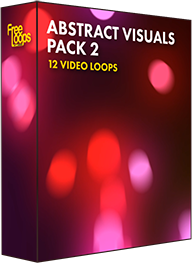 This video loop is part of Abstract Visuals Pack 2.